Searching for an executive in this industry requires some extra considerations. Gil Carrara is the Partner-In-Charge of the Life Science & Healthcare practice at Battalia Winston International. He oversees a team that conducts senior-level searches for a broad spectrum of life sciences companies in the Pharmaceutical, Biotechnology, Medical Device, Consumer Healthcare, and Animal Health industries. He also works with Large Accountable Care Organizations, Major Academic Medical Centers and Hospital Systems, as well as Healthcare Non-Profits and Foundations. Gil works with the CEO’s and boards of life science companies and healthcare institutions to build key teams around the globe by recruiting nationally recognized senior executives and industry experts. 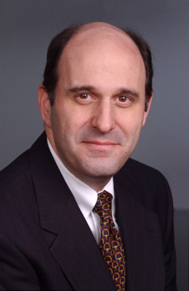 Prior to joining Battalia Winston, Gil worked at Nicholson International as Managing Director of the North American Life Science and Healthcare Practice and before that helped establish both the Princeton and Philadelphia offices of Korn/Ferry International. Prior to his search experience Gil founded the Total Pediatric Extended Care Center which focused on care of children with chronic illnesses and worked as a medical director for a small international pharmaceutical company. Gil is a founding member of the Health Futures Council at Arizona State University and works with the NJIT and the NJ Innovation Institute. As a skilled technical manager, I’m finding another hurdle to finding work in what I expect to be a burgeoning industry: there are no formal channels to find opportunities, as in most “legitimate” industries. Do you know of any resources that I could tap into?